DAY 2. 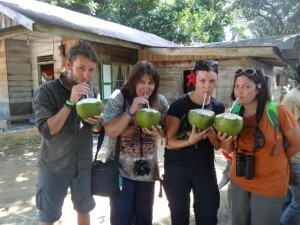 In the morning, head off on an overnight jungle trek for wildlife and orangutan spotting. Camp by the river, swimming, fishing and camp dinner. Accommodation Jungle Camp. Day 3. 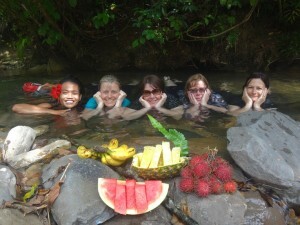 After jungle breakfast, in the morning explore small waterfall before tubing back to guest house mid/late morning. Included lunch, tea and breakfast while on trek. 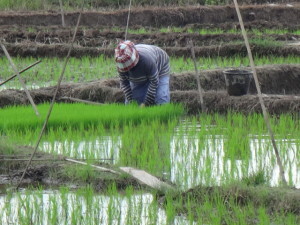 Optional activity - village tour in afternoon at 2pm by becak (like a tuk tuk) to look at rice fields, brown sugar processing and drinking coconut juice straight from the coconut (cost not included in tour, please let me know if you would like to do this and I will build the price in for you). Accom Guesthouse. Day 4. Leave for Bestitang in the morning (5 hour slow drive on bumpy unsealed road in parts road) and a one hour motorised canoe trip to Besitang. Check into hut. Afternoon to explore the river and surrounds . Accommodation Besitang hut (basic accommodation, no wifi and limited mobile coverage, cold water wash). Optional activity - primary school visit as part of our pack for a purpose program in the morning on the way to Besitang. You can either bring supplies with you or I can build the price of the guides buying supplies for you. Please let me know if you would like to do this and if you would prefer to take your own supplies or ask the guides to buy them for you on your behalf and I will build the cost into your tour. Accommodation Besitang. All meals are included while in Besitang (tea and breakfast). Day 5. After breakfast go on a 1 hour elephant trek through the lowland jungle. Elephant washing as well if the river is not running too fast. Afternoon to relax and enjoy the remoteness of Besitang. Accommodation Besitang. Day 6. Leave Besitang in the morning to start trip back to Medan. Optional activity - Visit the Grand Mosque and Palace in Medan on way to your Medan accommodation or flight. You can either organise your own Medan accommodation and your tour finishes here when we drop you to your accommodation or we can arrange Medan accommodation for you. If you would like us to arrange Medan accommodation for you please let me know and we will include it in your tour price. 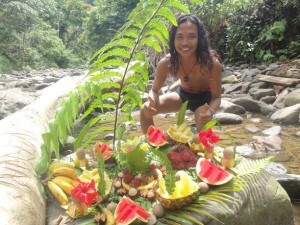 BUKIT LAWANG. 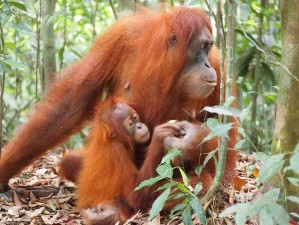 Until 1996 Bukit Lawang in North Sumatra was the location of an Orangutan rehabilitation centre. The centre was forced to close its doors to new arrivals because the centre could not accommodate the ever growing number of Orangutans. 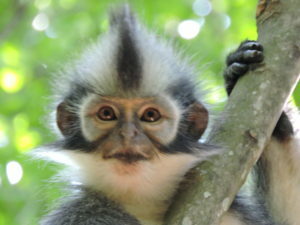 Later conservation strategies recommended against the re-introduction of ex-captives into wild populations, due to the threat of disease. 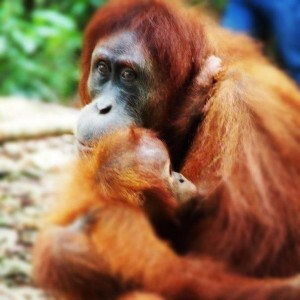 The Orangutans rehabilitated in this period and their off-spring still remain in the jungle around Bukit Lawang along with a healthy population of wild orangutans. BESITANG. 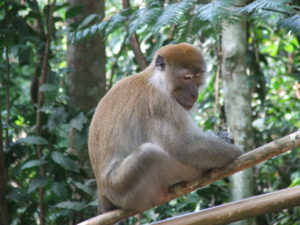 Besitang is an area of conservation and restoration on the border of Gunung Leuser National Park. Tourism has recently been introduced to this area by Yayasan Leuser International (YLI) to give impetus to its conservation efforts and enable the community to benefit from the rain forest in a positive way, whilst raising awareness of environment issues. There is very little tourist infrastructure in this area. There is one basic hut, which provides basic rooms with cold water in the bathroom (mandi - ie indonesian bucket and scoop wash and western toilet). Meals are included in the price and will consist of wholesome Indonesian food, but there is no menu, you eat what the local are eating for their meals.